The world of music education can be intimidating for a parent, even with the guidance of a fabulous teacher. We're here to help make music an even more special and important part of your family's life with some basic tips and supplementary reading. Tip #1: Listen to music at home. Each month, we create a playlist of family-friendly music for you to put on at home. Listening to quality music is of vital importance to the development of your child's brain, and it's also quite pleasant. We suggest 1-5 hours daily of listening to music. Hopefully you have a teacher who involves you in the process of your child's music education. Even so, there's always more to learn. Check out our articles below! Tip #3: Supplement your child's music education at home. Aside from listening to music daily and continuing to learn about the field of music education, you may choose to supplement your child's music education using specific resources designed for parents. 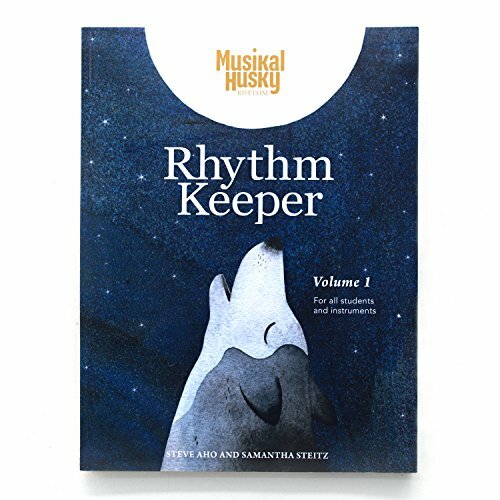 We are curating a more expansive list at our studio currently, but we highly suggest studying rhythm reading (that is, how to clap and count the rhythms on a page) as an independent skill using Musikal Husky's Rhythm Keeper. Its flexible, no-clutter, easy-to-use design was made for parents in mind, breaking down every step into digestible pieces. Rather than watch TV, bond with your child and learn in the process. Tip #4: Join a music community to stay connected with other parents and teaching professionals. Beyond producing music education materials to enhance the experience of children, Musikal Husky offers a community of teachers and parents. We are active on Instagram, where we post daily inspirational and educational content in our feed and stories. Please find and join us there! We look forward to seeing you!